So I was viral for a while yesterday. 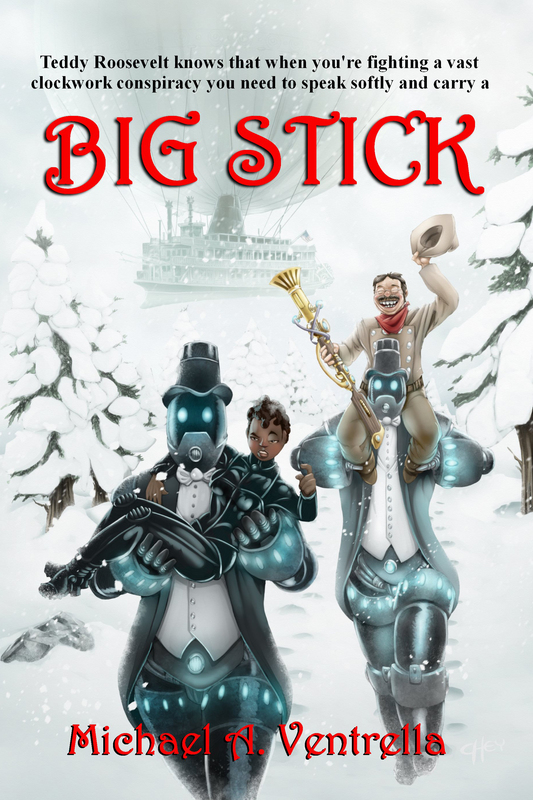 Sunday night’s episode made everyone think I had made some grand prediction, and the next thing I knew, I had over 300,000 hits on this blog (and quite a few on my author blog as well — let’s hope I sold some books). I was just making a joke! 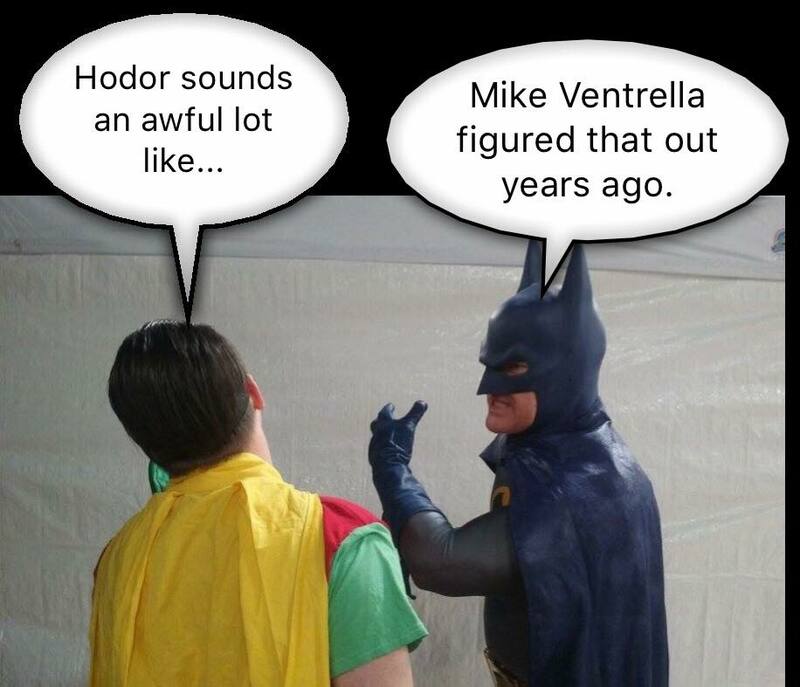 Years earlier, I had posted that “Hodor was his sled” but somehow that never got the same amount of attention. Then again, what people were really reacting to was Martin’s reply to my comment that “Hodor is short for ‘Hold the door’.” — “You don’t know how close you are!” Without that response, the story isn’t half as good. So I was interviewed by Buzzfeed and the Philadelphia Inquirer and soon was mentioned all over the place. Philly.com even ran a big picture of me. The Observer came up with a huge theory about how I am really a time traveler planting ideas in George R.R. Martin’s head. I was mentioned in Newsweek! The best part? This weekend, I am a writer guest at a science fiction convention in Baltimore with — you guessed it — George R.R. Martin. Let’s see if we end up on an elevator together again. 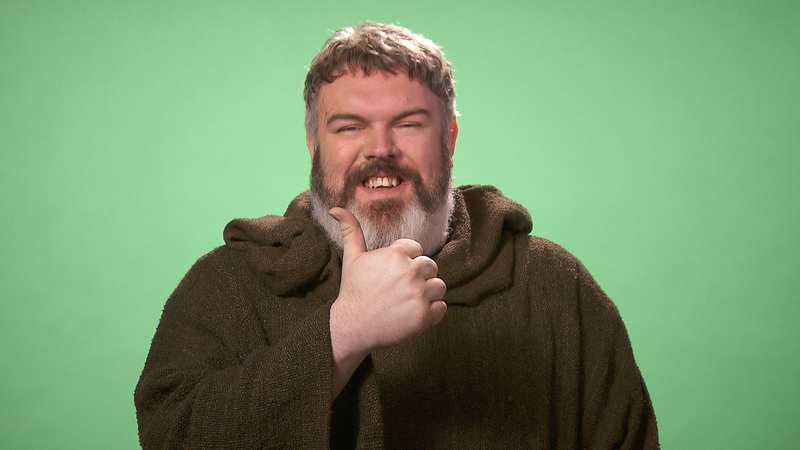 The Verge: How did three different Game of Thrones fans predict that Hodor surprise? EDIT/ADDITION: Here’s George reacting upon meeting me the weekend after the episode aired. EDIT/ADDITION #2: Here we are, more than a year later, and Cracked is still talking about it. This entry was posted in Entertainment and tagged Game of Thrones, George R.R. Martin, Hodor, Hodor elevator story, Hodor Hold the Door. Bookmark the permalink. No, I’m sure this was planned from the beginning. I can’t imagine an author as detail-oriented as GRRM creating a character like Hodor and not knowing from the very start what his name meant and what was going to happen to him. Is GRRM hitting you or knighting you?